ICSAUDE 2015 : 17th International Conference on Sustainable Architecture and Urban Design Engineering, Istanbul, Turkey, 21 – 22 December , 2015. Mona Lotfy, Nour Eldin Ismail, Heba Abdelhamid Elkayal. Mona E. Ossman, Marwa Abdelfattah. Journal of Environmental Engineering and Science, Volume 10, Issue JS2, (P 27 : 33), 11 september 2015. M. Abdelfattah, M. E. Ossman, A. Elgendi, H. Farag. ICRERA 2015 : 17th International Conference on Renewable Energy Resources and Applications, Paris, 20-21 July 2015. M. E. Ossman, M. Abdelfattah. International Journal of Chemical and Biochemical Sciences (IJCBS), Number 7, (P: 1-8), May 2015. Heba Raafat Ahmed, Essam Sourour, Hassan M. ElKamchouchi. for LTE-A.”International Journal of Wireless & Mobile Networks (IJWMN), Volume 7, No. 6, June 2015. Ghada Ahmed Ragheb, Hisham Glal El-Shimy, Amany Ahmed Ragheb. Journal of Civil Engineering and Architecture, Usa,Volume 9, Number 7,(Serial Number 92), July 2015. Journal of Environmental Engineering and Science, Volume 10 , Issue 1, (P:10-18), March 2015. Abdelrhman A. Yacoub, Rania Farouq, Hassan A. Farage. SSRG International Journal of Chemical Engineering Research (SSRG – IJCER), Volume 2, Issue 2, July to Aug 2015. ” Removal of polyaromatic hydrocarbons from waste water by electrocoagulation.” Journal of Petroleum and Gas Engineering, Volume 5, No. , (P:32-42), September 2014. “Peanut shells and talc powder for for removal of hexavalent chromium from aqueous.” Bulgarian Chemical Communications, Volume 46, No. 3 (P: 629-639), 2014. “Sustainability of Cites Built Environment by Urban Regeneration concept Case study of the Historic Cairo.” International Scientific Journal Architecture and Engineering, Volume 2, Issue 1, 2014. R. A. Amer, M. E. Ossman, H. S. Hassan, H. Ghozlan, S. A. Sabry. International Journal of Enviromental research (Int. J. Environ. Res., Volume 8, Issue 3, (P:741-750), Summer 2014. M. Abd Elfatah, M. E. Ossman. Fadel M. Ali, A. M. Elhatib, W. M. Aboutaleb, A.M. Abdelbacki, A. M. Khalil and Mai. I. El-kaliuoby. 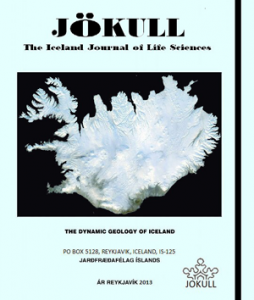 Jokull Journal, Volume 64, Issue 4, 2014. The International Conference on Computing Technology and Information Management(ICCIM2014), Dubai, UAE, 9-11 April, 2014. Mohamed A. Aboulhassan, Essam A. Sourour, Shawki Shaaban. International Journal of Wireless & Mobile Networks (IJWMN), Volume 5, No. 6, December 2013. The Jounal of American Science (J Am Sci), Volume 9, Issue 10, Cumulated No. 68, October 25, 2013. The Journal of American Science, Volume 9, No. 9 (Cumulated No. 64), September 2013. M. E. Ossman, M. Abdel Fatah, Nahla A. Taha. Desalination and Water Treatment , Volume 51, 7 Aug. 2013. Desalination and Water Treatment , Volume 51,Issue 16-18, 8 May 2013. 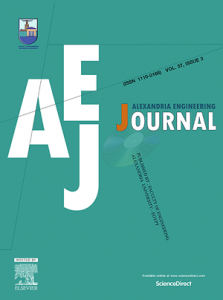 Alexandria Engineering Journal (AEJ), Alexandria University, Volume 52, Issue 1(P: 13-18), March 2013. M. M. Naguib, M. A. M. Hanafi. European Journal of Sustainable Development, Volume 2, No. 4, Special Issue 2013. 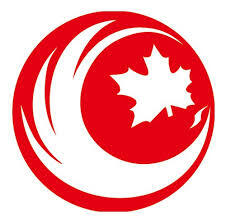 CSCanada Energy Science and Technology, Volume 5 (No.1), P: 1-7, 2013. Mohamed Moustafa, Aliakbar Ghafari, Alexander Paulheim, Cristoph Janowitz, Recardo Manzke. Journal of Electron Spectroscopy and Related Phenomena, 2013. Mona E Ossman, Moustapha S Mansour. International Journal of Industrial Chemistry, 4:13, 13 February, 2013. Hassan Farag, Mona Ossman, Moustapha Mansour, Yousra Farid. International Journal of Industrial Chemistry, 4:20, 27 February, 2013. Medhat M. Sorour, Mohamed M. Khairat Dawood, Noha Alaa El-Din. “Mixed Convection Inside Square Enclosure with Discrete Heat Sources at Different Arrangement and Ventilation Ports”. European Journal of Scientific Research,Volume 70, No. 1, 2012. M. Khalil, M.A. Abdou , M.S. Mansour, H.A. Farag, M.E. Ossman. A cascaded fuzzy-LOPA risk assessment model applied in natural gas industry. Journal of Loss Prevention in the Process Industries (2012), 1-6, 2012. Removal of Phosphates from Industrial Waste by Chemical Precipitataion. IRACST-Engineering Science and Technology :an international Journal (ESTIJ), Vol.2, No.3, June 2012. IRACST-Engineering Science and Technology :an international Journal (ESTIJ), Volume 2, No.3, June 2012. IRACST-Engineering Science and Technology :an international Journal (ESTIJ), Vol.2, No.4, August 2012. Journal of American Science 2012;8(8). International journal, Architecture Research, USA , Volume 2,No. 5, October 2012. Architecture & Planning Journal Faculty of Architectural Engineering (APJ), Volume 21, Jan., 2010. Interdisciplingary Themes Journal, Volume 2 (No. 1), 2010.